Well Maintained & Super Clean Split-Entry Located on Cul-de-sac! 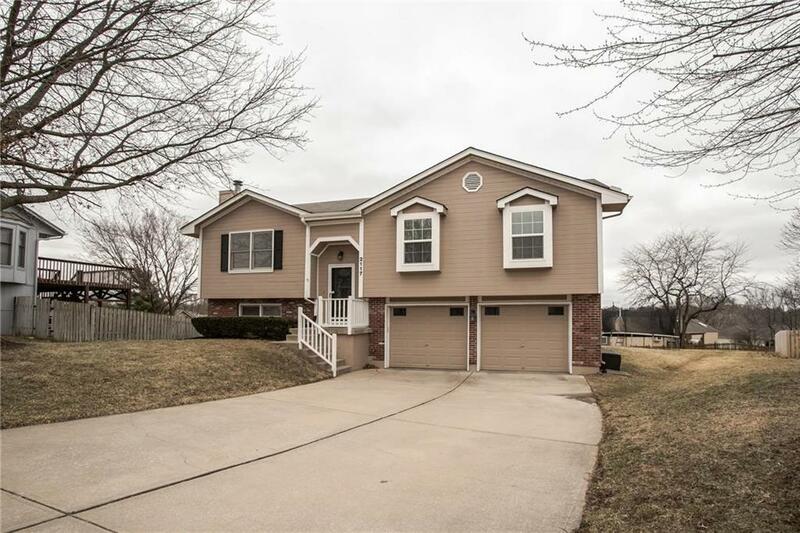 This 3 Bedroom 2-1/2 Bath Home Is Completely Move-In Ready! The Kitchen Offers Plenty of Cabinet Space, including a Pantry and Eat At Bar, And Look Through to the Living Room. Master Bedroom has TWO Closets, and Mirrored Niches! The Basement Offers a Nice Sized Rec/Family Room with a Half Bath off the Back and a Walk Out to the Back Yard. Great Location being Just Minutes to School, Shopping and Restaurants! Directions: Take 50 Highway to 3rd Street exit head West and just past Pryor, take a right into Sterling Hills Subdivision. Take a left onto British Dr, Right onto SW Sterling Dr, a left onto SW Drew Ln and then another left onto SW 1st Terrace to house in cul-de-sac.